I zipped past the sign on W. Forest over in Woodbridge on my way to Wayne State. Did it say flowers for sale? As I continued on to my class, I thought what a cool idea. 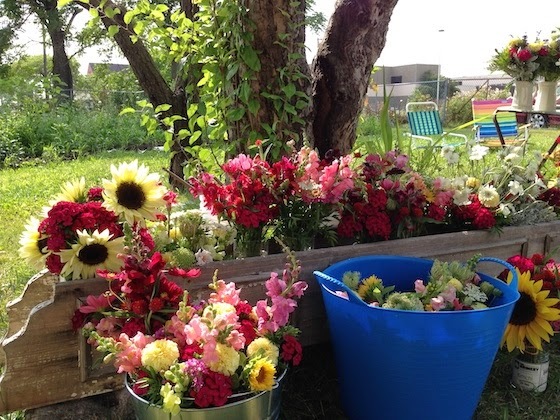 Sell fresh flowers from your garden. I made a point to look for the sign again. The next time I passed by though I didn't see it, so I figured that it was a one time deal. I couldn't have been more wrong. My class finished up at the end of June, but I recently had a reason to pass by the house again at the corner of W. Forest and Rosa Parks. And sure enough there was a sign. This time I stopped. 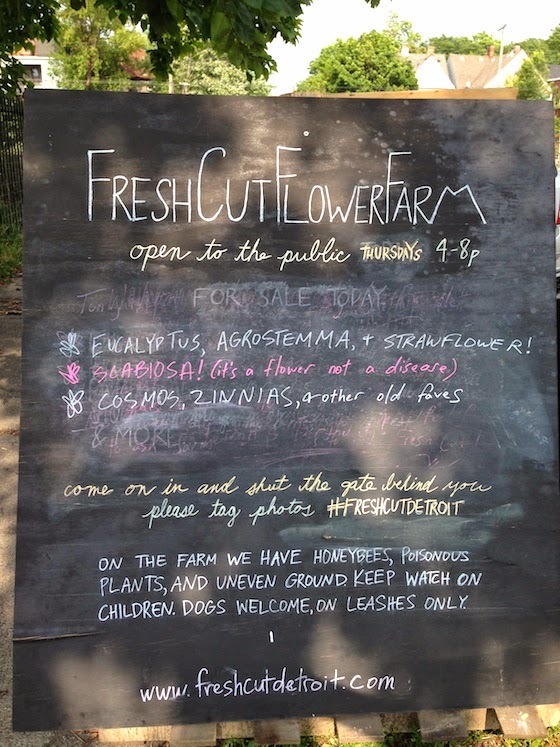 I discovered the place is called Fresh Cut Flower Farm, and you can read more about them at their website FreshCutDetroit.com. The gardner, Sarah, greeted me and explained that the flowers are around back on the side of the house. 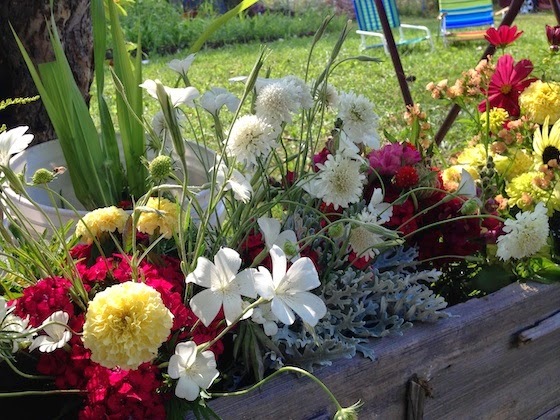 We walked over, and I was pleasantly surprised to find bouquets of fresh flowers lined up. However, they turned out to be flowers that were preordered. Bummer. But she did have $5 bouquets for sale, and that was exactly what I needed. 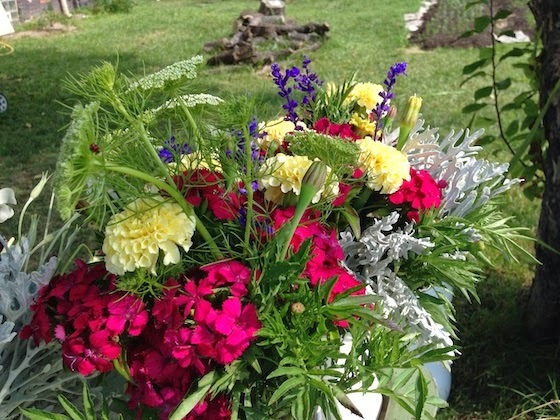 Fresh flowers made simple. I purchased a couple of bouquets, and sure enough Mrs. DVD was surprised and happy with her gift. If you're in the area stop by, but the stand is only open on Thursdays from 4 pm to 8 pm. According to their website they're open from May to October. Fresh Cut Detroit also offers other services such as wholesale and custom orders. Check out their website for more info. Beautiful flowers await you. You certainly have a keen eye for the goodness in your travels. Thanks for sharing views. The natural beauty of fresh cut flower brightness the day. Thanks for taking the time for this post.